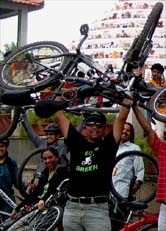 Event_Registration for GoGreen E-Waste Recycling Ride on 13Sep15 - GGI-Group size: 4000+ Professionals, Increasing on day to day basis, Come & join us 2 serve Mother Nature. 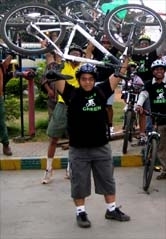 This week we have a special ride partnering with BinBag to create awarness on E-Waste & Recycling. 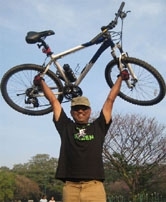 Its an 10km ride that ends at Kanteerva Indoor stadium. request you all to go ahead and confirm the participation and at the same time fill in the registration form. and enjoy riding with the group. is the right time to bring it to this event and then give it out BINBAG team. BinBag is dedicated to responsible disposal of our E-Waste junk and diverting waste from landfills. They are committed to extend life cycle of products through recycling, reusing and refurbishing. To comply with environmental guidelines and safety standards, They work only with authorized recyclers. This is what they want to say " Freedom has many meanings: for us, it is a waste-free planet."